A new and enticing voice in fiction draws readers through the streets of Paris and New York on an intricate adventure. It’s twisting, contemplative, playful and darkly entertaining. This reading group guide for Three Lives of Tomomi Ishikawa includes an introduction, discussion questions, and ideas for enhancing your book club. The suggested questions are intended to help your reading group find new and interesting angles and topics for your discussion. We hope that these ideas will enrich your conversation and increase your enjoyment of the book. Ben Constable and Tomomi Ishikawa are friends. They meet for drinks, late-night cigarettes, and witty, imaginative and often surreal conversation. But Ben’s life is turned upside down when he receives what seems to be a suicide note from Tomomi Ishikawa. Not only does the note announce her death, but it invites Ben on an extraordinary treasure hunt that takes him through the streets of Paris and New York City. There are clues and hidden treasures that gradually reveal aspects of Tomomi Ishikawa that Ben did not know. They also appear to disclose a startling revelation: Tomomi Ishikawa is a murderer. Combining cleverly funny dialogue with quirky, enigmatic characters and a fantastic premise that will leave readers guessing, Three Lives of Tomomi Ishikawa will undoubtedly resonate long after the last page is finished. 1. The story opens with Ben and Tomomi Ishikawa imagining what Ben’s book will be about. The use of imagination is a key element for the characters, especially for Ben. He even has an imaginary cat whose behavior is restricted by “the laws of science” (p. 17). If he is a figment of Ben’s imagination, why can’t Ben imagine him talking or able to jump great distances? What does that say about Ben’s imagination? What purpose does Cat serve for Ben? 2. Why do you think Ben refrained from calling the police after reading Tomomi Ishikawa’s suicide letter? 3. In her letter to Ben, Tomomi Ishikawa compares sleep and death, the sandman and the grim reaper. She writes, “I wake in fear because, for all I long for death, I run from it like the coward I am. I drink in the hope of one day finding the courage to let go” (p. 39). Why do you think she longs for death? 4. In a letter to Tomomi Ishikawa, Ben writes, “Ever since writing was invented, people have been documenting their brains, giving names to ideas, noting their dreams, and distorting their memories and making up new ones,” and wonders, “What if nobody reads them?” (p. 165). Later he burns his journal pages from New York in order to light an underground passage in Paris and wonders, “Would I remember without my notes? Would it all still exist without these pages to remind me?” (p. 293). What power does the written word hold for Ben? If it is a way to record memory, what happens when memories are distorted? What does Ben think Tomomi Ishikawa is trying to achieve with her letters to him? 5. When Ben searches for the treasure in front of Tomomi Ishikawa’s old school, he thinks “of her, small and delicate, digging by herself in the night, touching the space that was touching my skin now, smelling the street and the dry earth, infringing on my personal space as if her memory were being projected inside me, like claustrophobia” (p. 185). Why does Tomomi Ishikawa send Ben on his adventure? Is it a treasure hunt or a confessional? What is Ben’s motivation to keep following her clues? If you were in Ben’s place, would you have kept following them? 6. Tomomi Ishikawa often tells Ben that she loves him. What is the nature of the relationship between Ben and Tomomi? 7. Ben suffers from prosopagnosia, a disorder where one cannot easily recognize faces. In what ways does it affect his interactions with others? 8. Do you believe Tomomi Ishikawa really committed the murders? Is she depressed as Ben suggests? Why do you think the author leaves it unclear? 9. At each death, Tomomi Ishikawa includes the last thoughts of her victims. Upon her own suicide, her last thoughts are included, but not from her point of view or Ben’s. Who has written her thoughts? 10. Why do you think the author named the protagonist after himself? 11. Ben always refers to Tomomi Ishikawa by her first and last names or her nickname, Butterfly. Do you think there is any difference in meaning between her name and nickname? Why does he never call her Tomomi? 12. In the story’s final letter, who is writing to whom? What are the three lives of Tomomi Ishikawa depicted in the novel? 13. Tomomi Ishikawa suggests to Ben that she could kill him, steal his identity and write the book herself. What would be the strategic advantage for her in doing so? Are there any clues to suggest this might be the case? 1. Look up Ben Constable’s website, www.Benjamin-Constable. net, to find fascinating additional information about the book, including photos of places mentioned in the story, additional writing that did not make the final edit, and stories about the writing of the book. The website also features some of Ben’s short stories, articles, and even music. 2. Ben Constable, the author, named his main character after himself. 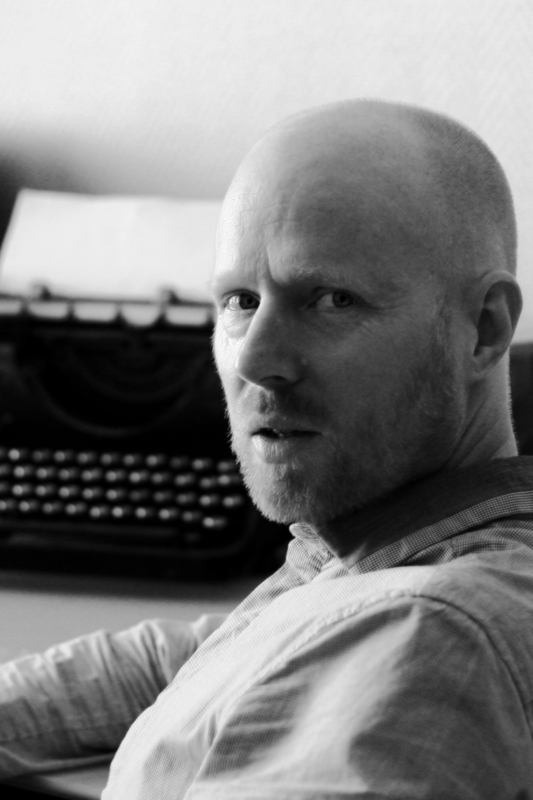 After reading his biography on his website, what similarities can you distinguish between Ben the author and Ben the character? As an exercise, have members of your group write a fictional paragraph or two with themselves as their main characters. Discuss how you each chose your topics, how strange (or natural) it was to write yourselves as protagonists, and note the similarities between authors and characters. 3. Tomomi and Ben often meet in Paris to drink wine, and even while Ben was in New York City, he needed a bottle of French red to solve one of Tomomi Ishikawa’s clues. Bring a lovely French wine to your meeting—a Ch.teau Lafite Rothschild if you want to splurge, or a more modest bottle, perhaps at the recommendation of your wine merchant. If wine is inappropriate, consider creating a yogurt bar with different toppings. Include almonds if you wish, but skip the bitter toffee variety! 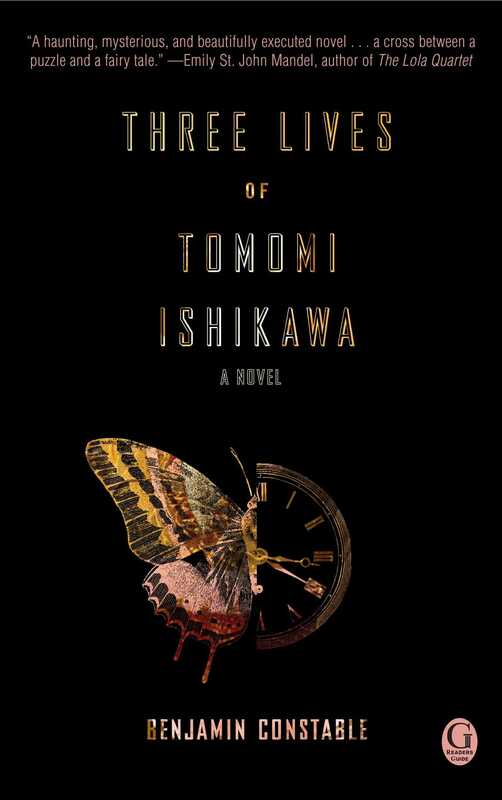 "Three Lives of Tomomi Ishikawa is a haunting, mysterious, and beautifully-executed novel. I couldn't put it down while I was reading it, and days later I find myself thinking of the characters, of the secret lives of Paris and New York, of the question of how well we ever really know our friends. Benjamin Constable's elegant debut reads like a cross between a puzzle and a fairytale." "An offbeat tale—dark but playful."